Most of us enjoy going out to enjoy a drink or a few, some more than others. The worst part in doing so is the potential for a hangover in the morning, which for many people is more than just a minor inconvenience. Headaches, the urge to vomit, and fatigue among other things are plenty reason enough to avoid hangovers if at all possible. 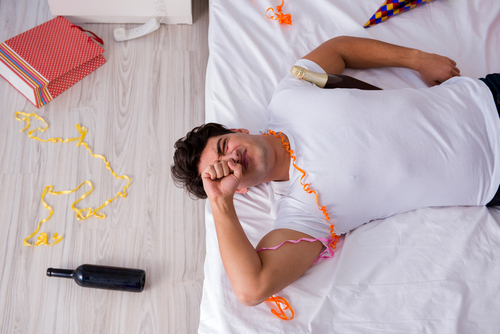 While there is no magic pill or cure that is going to immediately erase a hangover, there are some things you can do to lessen the impact when one does come along. 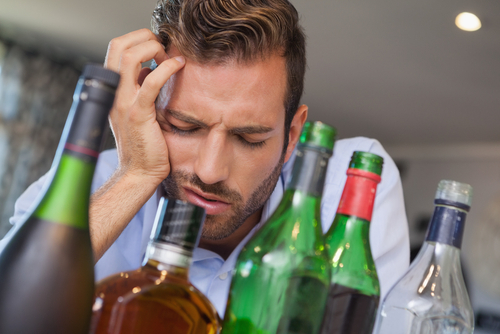 Here are some of the most effective ways to treat a hangover that you can do all by yourself. This one is obvious, however with that being said many of us go about doing so in the wrong manner. Water of course is essential to hydration, but that is not the only piece of this puzzle you need to consider. Magnesium is another critical component here, and supplementing one’s diet with magnesium after a night of drinking has shown the ability to reduce the onset of headaches which come as a result of this dehydration. If you are going to use this method, try to keep a dose next to your bed or on the night table as taking this supplement before you go to bed can help you out come morning time as well. When it comes to refueling after a night of drinking, many of us are under the false impression that greasy foods loaded with fat are the best way to go, as they will absorb all the alcohol. At this point it is too late to do any absorbing, as all the alcohol you drank last night is already circulating through your system. A better way to go is to eat foods which are complex carbohydrates, which are going to help replenish your depleted energy stores. Many of these foods such as sweet potatoes for example, are also high in other vitamins and minerals which can improve our hydration as well. This includes potassium, vitamin A and vitamin C to name a few. Studies have shown that taking 1,000+ mg of this vitamin prior to drinking can greatly reduce the effects of a hangover the following day. Vitamin B6 is definitely an effective treatment in this regard, however there are some things you need to consider before doing so. High doses of vitamin B6 have shown a tendency to interact with other prescription medications, so if you are currently taking any you should consult your doctor beforehand to see if a vitamin B6 supplement will interfere with your medication. Eggs have long been thought to cure hangovers because they contain a decent amount of fat, and tend to go with other greasy foods which were believed to soak up and absorb all of that alcohol. While eggs are in fact helpful in breaking hangovers, it is not because of this belief. Eggs contain a good amount of protein as many of us know, and one of these amino acids which it is rich in is called L-cysteine. This amino acid is heavily involved in the breakdown of toxins, such as the ones which are formed by the body through the metabolism of alcohol. If an upset stomach or nausea is your main problem, then ginger tea is the way to go. An upset stomach after a night of drinking is the worst as you know you are already dehydrated, and upchucking more food and drink is just going to make the problem worse. Ginger tea can help here in that it contains compounds which help to relax an upset stomach. In addition to that it contains compounds which help to regulate our blood sugar levels, and these levels will be lower than normal during a hangover. Most of us grab a sports drink or some other similar drink because we are under the impression that they are the best when it comes to hydration. While these drinks will hydrate us, they contain a load of sugars which may make things worse in the process. A better solution here is to drink coconut water or water which is fortified with electrolytes, as both are extremely important in hydration. Coconut water is very high in these electrolytes and has a decent amount of calories as well to replenish those energy stores.